Today Lenovo brings thin and Sandy Bridge to your desks and your laps. Leaked last month, the Lenovo ThinkPad X1 will make a strong case for itself to corporate road warriors while also packing some features that might appeal to consumers. Lenovo also has the newly revealed ThinkCentre Edge 91z, which introduces the Edge aesthetic to the ThinkCentre all-in-one (AIO) line. The ThinkCentre's space-saving form factor and mix of desktop and mobile components should appeal to the IT at home users, and makes a nice addition to your desk. As review units roll in we will see just how well these measure up against their competition. 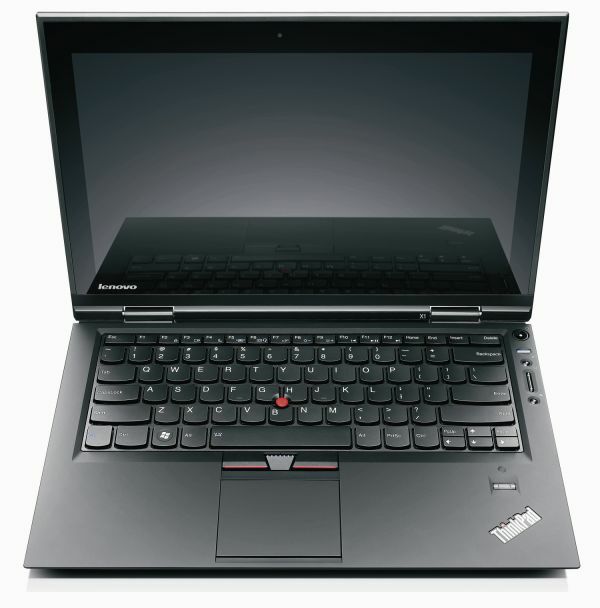 We'll start with a look at the Lenovo ThinkPad X1, which we saw leaks of recently. Leaks or no leaks, this ultraportable notebook turns out to pack some suprises in its svelte frame. Measuring 16.5mm at its thinnest (the front edge) and 21.5mm at its thickest (the back edge) the X1 will not compete for thinnest laptop on the market, but it may just be the thinnest with a full voltage Sandy Bridge mobile processor. The 13.3" screen is optimized for travelers with a pane of Corning's Gorilla Glass covering its TN-panel (we confirmed this with Lenovo Product Manager Jason Parrish) and peaking at a reported 350 nits at a resolution of 1366x768. We'll reserve judgment on the panel till we get our hands on it; truth is, in a market bereft of IPS displays, even a 768p TN-panel can land near the top of our display charts. In a move that many of you have been asking for on Apple's MacBook Pro line, Lenovo provides both mini-DisplayPort and HDMI for connectivity along with Intel's Wireless Display technology. 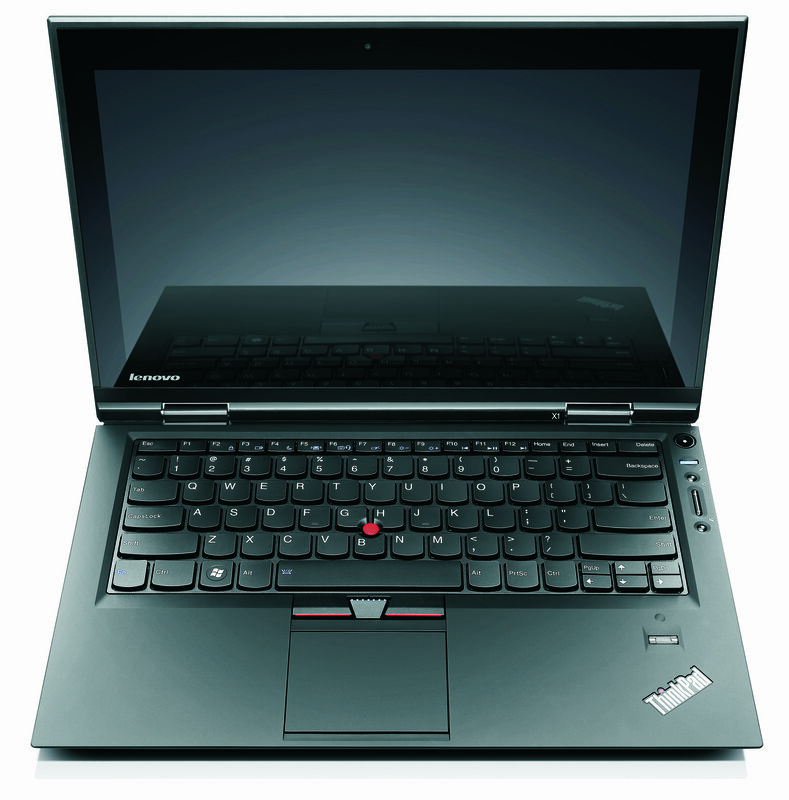 The X1 adopts the chiclet keyboard we first saw in the ThinkPad Edge 13; while the previous ThinkPad keyboards have been lauded since before the line was acquired by Lenovo from IBM, it's refreshing to see that Lenovo has been able to drasticaly altered its keyboards form factor without diminishing its effectiveness. We are excited to note also that Lenovo has brought a backlight to the keyboard while keeping it spill resistant. Carried over from the rest of the line is the Trackpoint "nubbin" with mouse buttons featured just below the space bar, and just above an otherwise buttonless trackpad. Though not a unibody design, the laptop is built around an interior roll cage with a magnesium body, contributing to a rigidity that meets a variety of military specifications. The layer of Gorilla Glass contributes to the device's overal rigidity, particularly to the display portion--an area where ultraportables have often been a bit flimsy. Enclosed within this rigid frame is the battery technology that makes it possible to power a standard voltage i5 without obliterating battery life. The new lithium-ion chemistry Lenovo is using provides higher power density, faster charging, and excellent durability. Lenovo is quoting 80% charge in just 30 minutes and 5.5 hours of life on a full charge. For all-day on-the-go computing, Lenovo will provide an external slice battery that doubles battery life to over 10 hours. 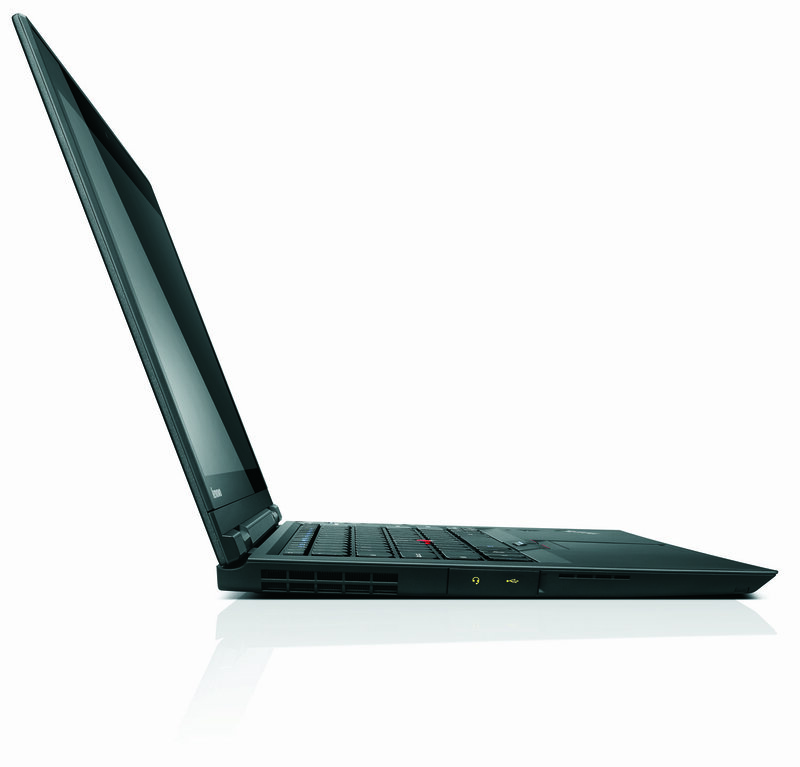 When it goes on sale today the X1 will pack an i5-2520m processor (dual-core 2.5 GHz, 3MB L3) and up to 8GB of DDR3. We'll have to confirm this, but based on materials provided it appears RAM will appear in a single DIMM slot, so the 8GB configuration will likely carry a hefty premium; how this affects performance will also be interesting to see. Before the end of summer we will be seeing i7 quad-core CPUs inside the X1's chassis, easily making it the thinnest quad-core computer we've encountered. When we first laid hands on Lenovo's Edge 13, we weren't wowed by the aesthetic; hopefully the design will grow on us, as Lenovo intends to bring the Edge aesthetic to more than just a subnotebook. This begins with the ThinkCentre Edge 91z. Slotting in between the entry-level ThinkCentre A-series and the workstation-class M-series AIOs, the 91z brings a curious blend of desktop and mobile components to provide a midrange specification. From the press pictures provided, it seems the key characteristics brought over from the Edge 13 are the large screen bezel and matte black finish to everything aside from the screen. And that screen? It's a 21.5" 1920x1200 LED backlit TN-panel. We will once again reserve judgment on the screen quality till we get our hands on it, but it will be hard to compete with a certain IPS packing AIO that also comes in a 21.5" size. Quad-core processors will be a fixture on these models with the options list peaking at the i7-2600S (2.8GHz, 8MB L3, 3.8GHz Max Turbo). Dual-core i3 options will start at $699; the pricing of the quad-core models could play a key role in their competitiveness. The VESA mountable chassis is designed to provide some user serviceabilty, so we expect to be able to access the RAM and hard drive without much difficulty. Contrary to its name, the ThinkCentre Edge 91z is not quite on the bleeding edge of computer technology. So what makes this more than just a product reveal? 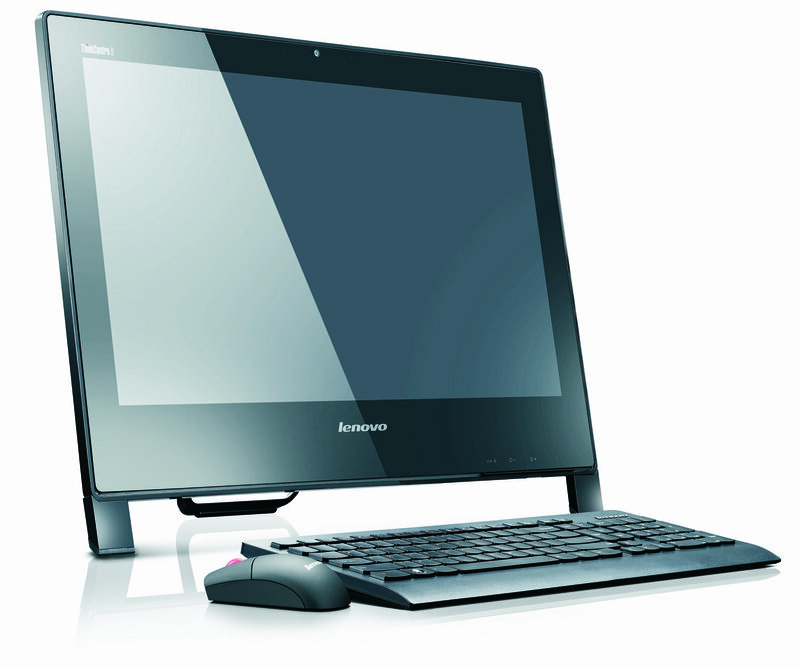 Lenovo will bring several Edge-branded devices to the ThinkCentre line. Small-form factor and mini-tower computers will be released carrying the Edge design language, most likely targeting the enterprise space. 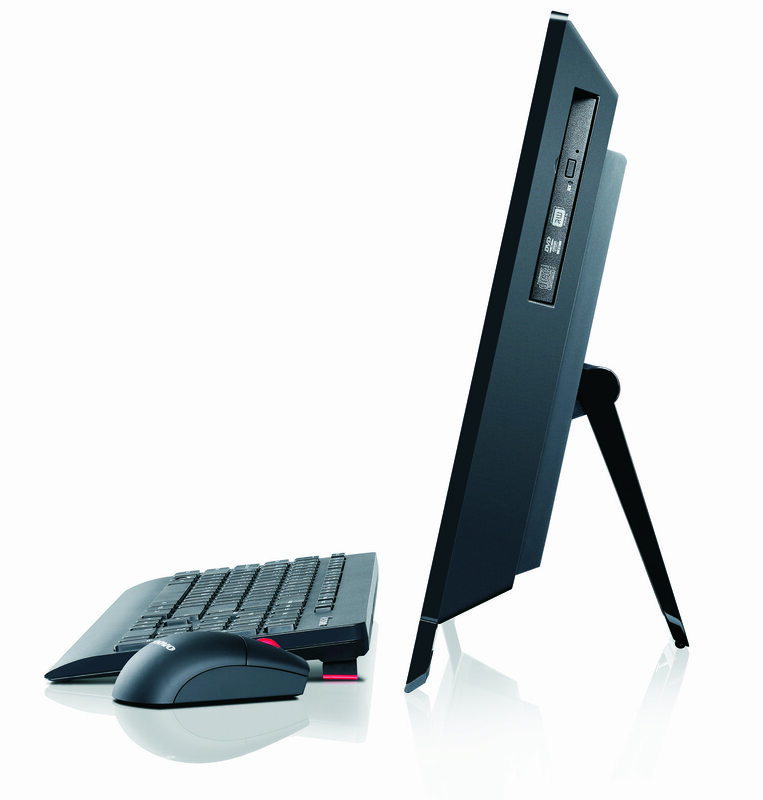 The 91z will be joined by other all-in-one devices, though the previously mentioned A- and M-series computers will maintain their own style. Lenovo sees 21.5" as the sweet spot for AIOs, but we can expect up to a 23" device to join the line at some point, and Lenovo is actively working on bringing touch to its Edge AIOs. HP has had some success with its TouchSmart line using a touch friendly skin, with its focus traditionally on enterprise clients it will be interesting to see what Lenovo does to make touch a more welcome feature in a desktop computer. If single channel RAM is true, then I'd like to see benchmarks. Also, 5.5 hour battery life without a second battery doesn't sound that great anymore. Why not use a ULV CPU for a bit more battery life? That Tom's article that is linked is a bit outdated, and it'd be interesting to see whether SNB could be fast enough to make the contrast between single and dual channel memory matter. "The 13.3" screen is optimized for travelers with a pane of Corning's Gorilla Glass covering its TN-panel"
"Before the end of summer we will be seeing i7 quad-core CPUs inside the X1's chassis, easily making it the thinnest quad-core computer we've encountered."